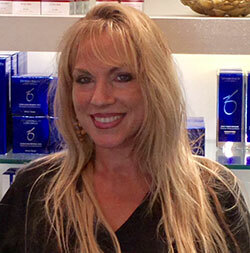 Heather Paige is a Licensed Esthetician with over 20 years of experience in the skin & beauty industry. She graduated from The Aveda Institute of Ethicology in December 2006 and has worked in medical spa environments since 2008, ( including being co-owner of a medical spa for 2 years). She is highly skilled with numerous modalities for Esthetics. Heather is passionate about educating and assisting others with their skin, as she initially became drawn to this industry because of her own skin issues. Her greatest assets are her compassion, intuition, and understanding her patients’ needs. Realizing her gift of “Healing Touch”, she became certified in that course which allows her patients to feel relaxed and rejuvenated in her care. She works closely with her patients to help them come up with a treatment plan to address their skin concerns & guides them towards optimum skin health.